Avid Pro Tools 201 covers the core concepts and skills needed to operate an Avid Pro Tools|HD system in a professional studio environment. Avid Pro Tools 210M covers techniques for working with Pro Tools systems in a professional music production environment. Concepts and skills learned in 101, 110, and 201 are reinforced with practical music-specific examples. Avid Pro Tools 210P covers techniques for working with Pro Tools in a professional post production environment. Concepts and skills learned in 101, 110, and 201 are reinforced with practical post-specific examples. This course focuses on the advanced operation of Pro Tools in a professional music production environment. 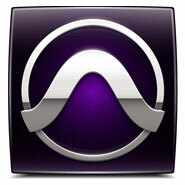 It offers technical insights into both Pro Tools hardware and software. FMC offers all the courses and exams necessary to become a Pro Tools Certified Operator or a Pro Tools Certified Expert. There are several Pro Tools Master Class packages available. Choose the option that is right for you, based on your current level of knowledge, career path and desired certification. All Master Class options offer significant savings for enrolling in multiple Pro Tools classes. Additional unsupervised Pro Tools practice time may be purchased at $200 per 4-hour session. Which courses should you take? Take both courses for $2,295, approximately 15% off the cost of these courses if taken separately. Avid-authorized curriculum is included. Take the 4 courses for $4,575, approximately 15% off the cost of these courses if taken separately. Avid-authorized curriculum is included. Take the 5 courses for $5,895, approximately 15% off the cost of these courses if taken separately. Avid-authorized Curriculum is included. * The Certified Operator exam is prerequisite to continue to the 300 level courses for certification. Take the 5 courses for $5,845, approximately 15% off the cost of these courses if taken separately. Avid-authorized curriculum is included. Take the 7 courses for $8,495, approximately 15% off the cost of these courses if taken separately. Upon completion of the eligible courses and instructor approval, FMC will schedule your exam. The cost of all online Pro Tools exams are included in the Master Class price (a value of up to $350). The cost of the exam is $150 for the initial exam, $75 for every retake. Expert exam fees will be provided upon completion of all prerequisite exams. Exams may be taken at any FMC branch.